Lets’ face it – as a first responder, your time is valuable. Using Dragon® NaturallySpeaking® Professional for Public Safety, you can spend more time protecting the community and less time completing reports. A first responder’s priority is public safety, but increasing paperwork demands often keep them chained to a desk rather than in the field. With Dragon speech recognition solutions however, time spent completing booking and primary incident reports, doing interviews, sending emails, and filling out forms can be dramatically reduced – putting your team back on the street, where they’re needed most. Because we specialize in maximizing the benefits of Dragon, we offer a broad spectrum of support and services delivered by qualified IT professionals. From customization to deployment to ongoing support, we’ll ensure your organization gets the most from Dragon. You can count on us to provide you with everything you need to succeed and keep your organization moving quickly and focused on what they do best – more time achieving their mission and less time with paperwork. To learn more about Dragon speech recognition solutions and how it can help your department get more done in less time, contact Tekton today. 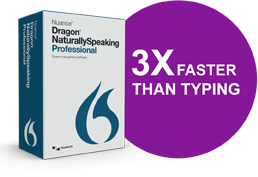 This entry was posted in Product News and tagged create documents quickly, Dragon, Dragon Professional, fire, first responder, Naturally Speaking, NaturallySpeaking, police, public safety, save time, speech recognition. Bookmark the permalink.